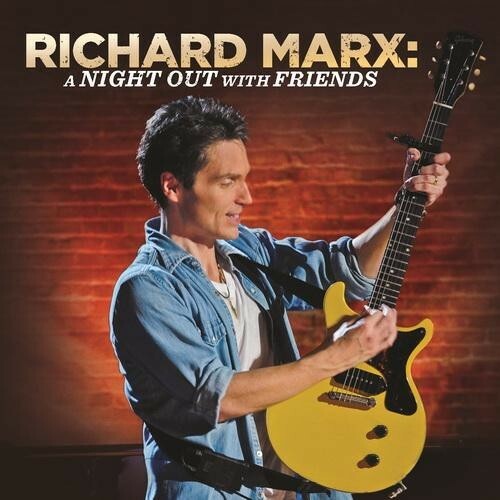 New live DVD/CD package from the always classy Richard Marx. Following on from the recent ‘Inside My Head’ CD comes a new live DVD/CD package from the always classy Richard Marx. The concert was a live U.S. T.V. special recorded in Richard’s hometown of Chicago last year, and encompasses the ‘storytelling’ vibe with Richard revealing the stories behind many of the songs, which are selected from his whole career, including some tracks written for other artists. It begins, in a similar guise to much of Richard’s recent live work, as an acoustic based performance with the occasional accompaniment from a string quartet, before building to a full-scale band show. Richard had actually come down with a cold a couple of days before the show, and his voice goes just a little ragged at times, but it still sounds amazing. The likes of ‘Endless Summer Nights’ and ‘Hazard’ work perfectly in the subdued environment, and ‘Always On Your Mind’ is performed entirely without any amplification, and sees Richard standing out in the audience. As the emotional ballad ‘Through My Veins’ is performed with Richard at the piano, the band appear to give the song it’s powerful ending, and from there it’s a Rock’n’Roll show to the end, with wonderful performances of the likes of ‘Take This Heart’, ‘Angelia’, the Keith Urban co-write ‘Better Life’, and the amazing new arrangements of ‘Satisfied’, ‘Should’ve Known Better,’ and the mega-hit ‘Right Here Waiting’ which closes the show, and actually sounds great with a full band backing. There are a number of guest-stars too, Vertical Horizon front-man Matt Scannell makes an early appearance to duet with Richard on his own band’s ‘You’re A God’ before becoming part of the backing band, and one of the biggest surprises is the appearance of Australian actor Hugh Jackman. He impresses enough while dueting with Richard on a rocking cover of The Boxtops ‘The Letter’, but then takes lead vocals for the stirring ballad ‘To Where You Are’, and sounds amazing. The accompanying CD cherry-picks ten songs from the live show, and adds two studio cuts from the ‘Inside My Head’ album, including the fantastic recent single ‘Wouldn’t Let Me Love You.’ In all honesty I would have preferred to have more selections from the concert on the CD, but that’s a minor quibble, and with a running time of just over two hours on the DVD this is a great value for money package, and has really whet my appetite to see Richard do a full-band show over here sometime soon.